joanne burns has been publishing experimental poetry in Australia for over four decades, and amphora is her thirteenth collection. 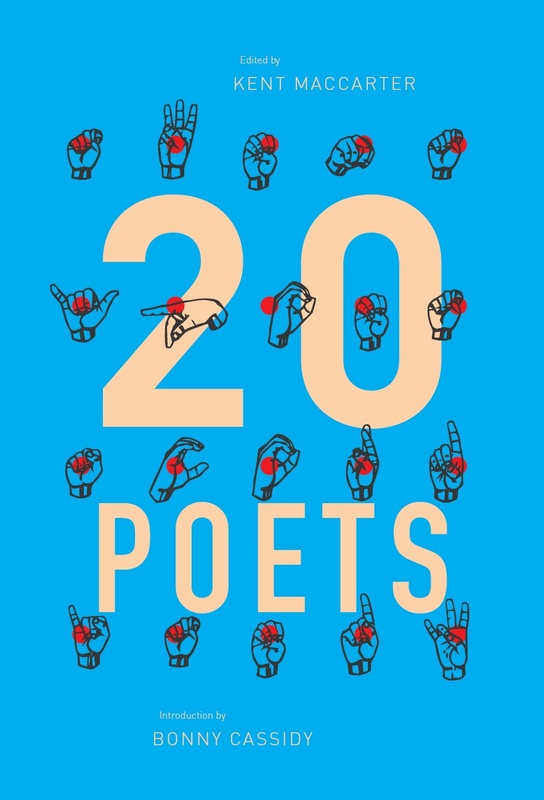 At 135 pages, it is substantial and generous, of a breadth that allows for the prose poems burns is best known for along with a number of spectacular short poems and some longer series. amphora to my mind affects a very strange hybrid of both 1970s Aussie experimentalism of chance operation and intertextual sophistication, and a preoccupation with the subjects of metaphysical poets both of the tradition, as well as modern. of descending angels. she writes of the dream ladder. spirit body of flesh and earth. Note the material propositions attending the metaphysical, an activity bound to the act of writing itself: “the descent on the ladder of writing will be tough”. ‘rung’ is one of the most sophisticated and stratified of the poems in amphora, a poem that, like John Milton’s Paradise Lost, dramatises earthbound angels. A transcendental subject inculcated in the material and burns’s urban Sydney milieu of neon lights, public spaces, and ideas, we see the pursuit here of an almost heretical presumption of a deity’s subsidence in all things, a pantheism that calls itself into doubt by holy maggots and a metaphysics of refrigerated goods. I say heretical since burns is willing to pursue the metaphysical sometimes to the most banal of places, to “pavement cracks”, “a pneumatic pool mattress”, grated carrot, ghee lamps, and in light bulbs. wooden replica of the crown of thorns. o rose art thou sick. Along with Francis Webb, burns writes on recently sainted Saint Mary Mackillop, mentioning Mackillop alongside other saints in poem ‘haggle’. It can be assumed that ‘haggle’ is a slightly older poem than the rest in the collection (since in the poem Mackillop remains “in waiting” “for that canonising miracle” on “the lower rungs of beatification,” “not lucrative enough for Rome”) and, this being a poem about the “stains of saints on the ground”, again shows burns as a critic of the bodies and wounds of the miraculous Aussies. The question of this poetry seems to be the question of what the miraculous feels and smells like. This is a gesture one can find even in her book with Pam Brown Correspondences from 1979 (for example in ‘VI’: “to smell you eating your body and blood of Christ…”). I’ve emphasised the earlier section ‘ichoria’ in amphora, perhaps the most religiously interrogative, not for reasons of its religiosity but for the breadth of its imagination and the subsequent infections of language as a result, though section ‘this week next week the week after’ later in the book is as admirably coloured with an enchanted materialism. The concatenations of word associations, Raymond Queneau-like in ‘haggle’, enter more Steinian territory (but also the territory of list poems by Michael Farrell, Nick Whittock or Tim Wright) in ‘streamers’ – a poem and a section of the book – wherein further and further discombobulating koannes (burns’s take on the kōans of Zen Buddhism) are proposed around the subjects of food, reading, weddings and funerals. Some, like the publisher, as well as the critic Martin Duwell, have written that burns’s sensibility might be read as a surrealist one, and this aporetic section might be seen to typify this characteristic. This is not exactly untrue. 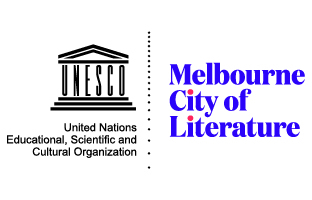 However, though burns is willing to write of “a puddle of blood designed as a table of memory” (in ‘harvest’) or of the ceiling as “no placebo / & punctuation scattering / in the rayon’s whistle” (in ‘streamers’) her poetic sensibility seems rather of a dual mode of transcendental speculation and Aussie experimentalism, a superbly corrupt form of her own. A poem like ‘shiny’ is neither surreal nor part of a Christian metaphysical tradition; it is the work of a Webb-like visionary speaking the impossible empiricism of sidereal worms in the pithy and conversational diction of John Forbes. It seems burns privileges poetry’s contingent and associative presentation with which to confirm, doubt, or call into question the assumptions that underlie the presentation of thought. For burns, the very interrogation of what lies behind things and the ensuing ambivalence provides the poetic line with its ambiguous bounty. But, I think burns speaks of her own methodology best: “take a cup of dice / and throw, less control / over the ingredients now, they / roll out as they please: firm”. 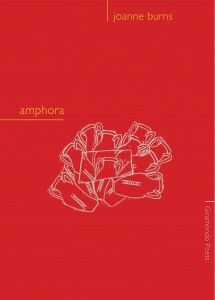 amphora is a book of poems of brio and interrogation, paradoxically speculative and sober, proceeding with an Oulipean sense of contingency latent in the next word, though without any explicit constraints being proposed. At its best, when rolling firm words out, the “fortune teller” – as burns writes in ‘stock’ – “spill(s) the beans”. This entry was posted in BOOK REVIEWS and tagged Corey Wakeling, joanne burns. Bookmark the permalink.